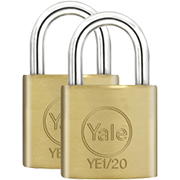 Our range of padlocks are designed to keep your valuables safe & secure, whether at home, at work or on the move. 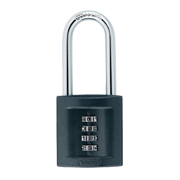 Handpicked by experts, we have keyed, combination & smart padlocks to choose from, so finding the right one is easy with Safe. Order today. 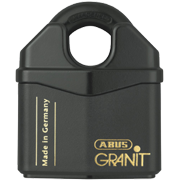 Among the most versatile security products, padlocks are perfect for securing luggage, bikes, and toolboxes on the go. 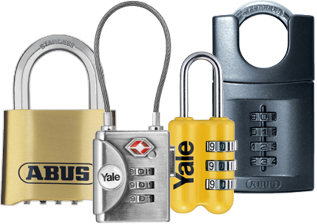 With a full range of CEN rated padlocks designed for different security needs, padlocks are equally at home securing lockers, buildings, and containers. 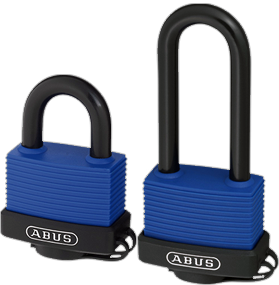 Weather resistant padlocks are also useful for improving and supporting your existing security arrangements. 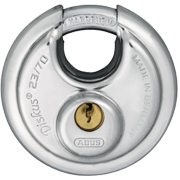 Entrance gates and outbuildings can have their existing locks and bolts reinforced with high security weatherproof or marine padlocks, adding an additional deterrent to would-be trespassers. 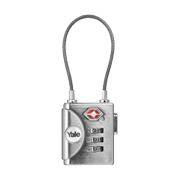 For commercial premises and business use, keyed alike or combination padlocks simplify daily activity by removing the need to handle large numbers of keys. 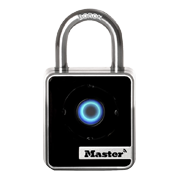 Combination locks allow you to change your combination to master codes for specific teams, making area and equipment access easy to manage and use for everyone. 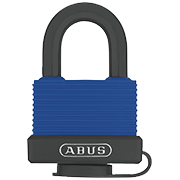 Whether you're travelling with a TSA approved padlock, or locking your bike up at night, our range of padlocks lets you stay safe on the go. 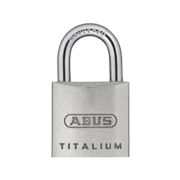 For expert product advice or bulk orders, contact our team of security experts to find the perfect padlocks for your needs.